Glazing Vision rooflights were used in the re-construction of this mews house situated in the conservation area of Mayfair, London. After the demolition of the former mews house and after two years of construction, which had even necessitated underpinning the neighbouring houses, this property now accommodates a basement with indoor pool, lower ground floor with cinema room, open plan living and dining space, two floors of bedrooms and bathrooms, as well as additional terraced balconies. Keeping the interiors bright and airy throughout was key to the design concept – floor to ceiling windows and Flushglaze Walk On Rooflights from Glazing Vision were installed to maximise the daylight, where it would have been otherwise compromised on the ground and second floors. In addition, a Glazing Vision 3 Wall Box Rooflight provides unimpeded access from an internal staircase to the roof terrace, which is recessed down 1.5m between two pitched roofs and which offers a vast outdoor space for entertaining, dining and relaxing. 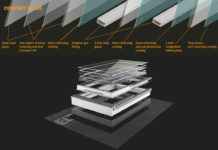 Two Flushglaze Walk On rooflights were specified by the architect to negate the risk of potential dark spots appearing in the dining zone and living area on the ground floor. 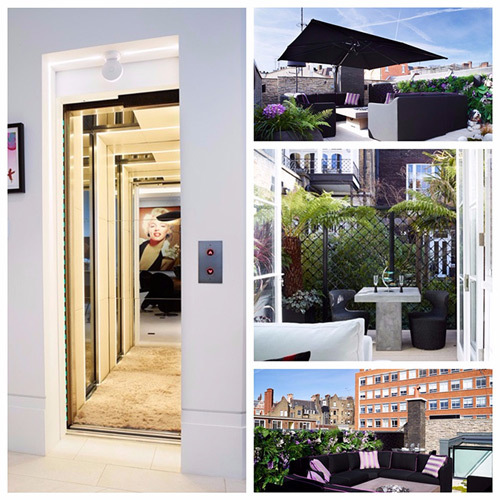 Engineered by Glazing Vision to bespoke sizes and to meet the future projected foot traffic upon them, they were integrated into the balconied terrace on the second floor, thus shedding light through to the bench seating in the kitchen and lounge. Their minimal internal framework was in keeping with the contemporary aesthetic of the interior and both rooflights augment the quantity of light entering this open-plan area, even extending out towards the central stairwell and landing. 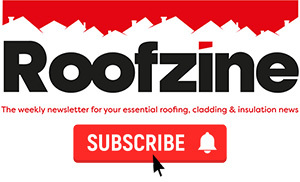 Two further custom-sized Flushglaze Walk On Rooflights installed on the roof terrace add an intricate design detail. 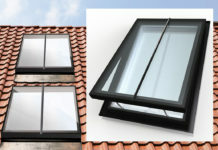 Suitable for flat roof terraces, these rooflights lie flush with the wooden decking. 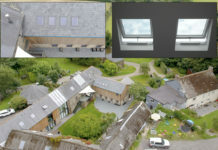 Again tested to allow for regular foot traffic and to bear the weight of terrace furniture, the rooflights are said to offer complete safety and watertight integrity. On the second floor below, the two windowless bathrooms are flooded with the light coming through these rooflights. Seeking to optimise the large roof space that had been created (4mx8m), the architect specified Glazing Vision’s 3 Wall Box Rooflight, which offers easy access all year round to the roof terrace and also provides a contemporary glass feature. For the accommodation of the three wall mounted box rooflight, a timber box frame had to be built which abutted the exposed brick wall behind. 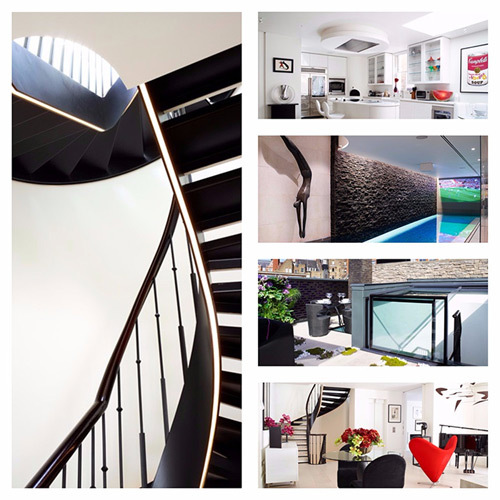 The property’s imposing central staircase provides access to the box rooflight, which in turn maximises the light falling down the stairwell to the bottom of the house. At the touch of a button from an access keypad, the sliding roof retracts to give a 50% clear opening with no “bowing of the head” necessary. The operation is quiet and safe, and the provision of a rain sensor ensures closure from inclement weather.